5G is all the rage right now, with AT&T already rushing to plaster "5G Evolution" (read: enhanced 4G LTE) indicators on its current phones. Some carriers are waiting out for real 5G, though, and Sprint is one of them. The company today confirmed that it's planning to sell a 5G phone from Samsung by summer 2019. Sprint had previously announced that it would have a 5G phone by the first half of 2019 with LG, but it looks like LG won't be alone. From what we can tell, the Samsung 5G phone in question is likely to be the upcoming Galaxy S10, which has already been rumored to have 5G and a spring release. Sprint mentions that this mystery phone will support Sprint's 2.5GHz spectrum for 5G and LTE, as well as 1.9GHz (band 25), 800MHz (band 26), and other spectrums for LTE. In the first half of 2019, Sprint will launch its 5G in Atlanta, Chicago, Dallas, Houston, Kansas City, Los Angeles, New York City, Phoenix, and Washington, DC. Given that we're already in 2019, we're getting very close to actual 5G being out and about. Sprint (NYSE: S) today confirmed plans for an innovative, standards-based 5G smartphone expected to launch in summer 2019 from Samsung. Sprint customers will be among the first in the world to experience the incredible speed, reliability and mobility of 5G on this feature-rich handset. "We are proud that our longstanding relationship with Samsung has delivered some of the most innovative mobile technologies to our customers over the years – and this tradition continues with 5G," said Dr. John Saw, Sprint chief technology officer. 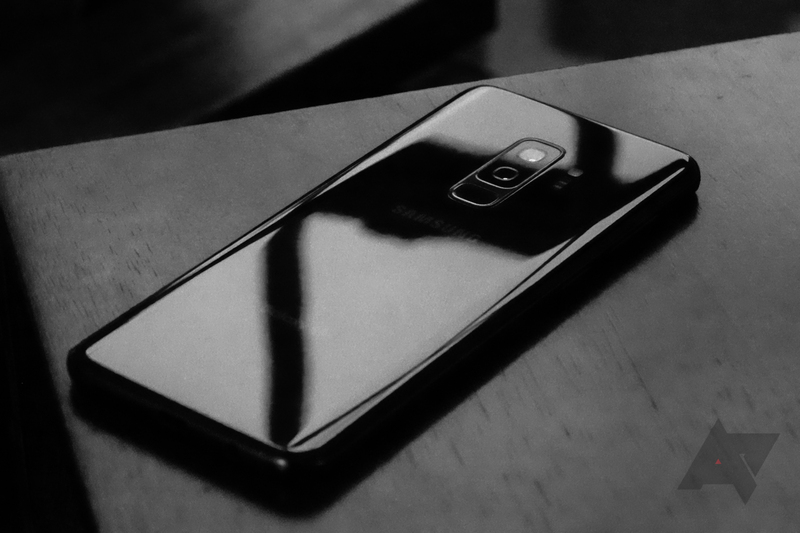 "Samsung is one of our key 5G network infrastructure Massive MIMO providers, so we are delighted that they will also deliver one of our first 5G smartphones, putting blazing fast connectivity right into our customers’ hands." This device will offer dual-mode connectivity to Sprint’s LTE and 5G network. For 5G and LTE, it will support Sprint’s 2.5 GHz spectrum. In addition, it will support Sprint’s 1.9 GHz spectrum (band 25), 800 MHz spectrum (band 26) and other LTE spectrum bands for roaming. Additional device specifications and exact timing will be announced later. 5G promises new levels of innovation and progress to connect people, places and the billions of things Sprint customers do with super-fast speed and ultra-reliable wireless connectivity. Customers should experience a shift from 4G to 5G with full-length HD movie downloads in seconds instead of minutes. Graphic-heavy videos and high speed games should play without delays, hiccups or lag-time. Sprint is building its 5G product ecosystem to give customers choice in how they connect to Sprint’s 5G network. This is the third device announced for Sprint’s 5G network to date. In August, Sprint was the first U.S. carrier to announce timing for a network-integrated 5G smartphone, and it followed in November with news of a 5G mobile smart hub. In the first half of 2019 Sprint plans to launch its mobile 5G network in nine of some of the largest cities in the country: Atlanta, Chicago, Dallas, Houston, Kansas City, Los Angeles, New York City, Phoenix and Washington, D.C., with additional markets to be announced. Massive MIMO technology is a key part of Sprint’s award-winning 5G strategy and network build. This breakthrough technology dramatically increases the capacity of Sprint’s LTE Advanced network today and is software upgradable to 5G. With Massive MIMO at the foundation of its mobile 5G service, Sprint can meet its customers’ demand for unlimited data and high-bandwidth applications, such as television in high definition and virtual reality.